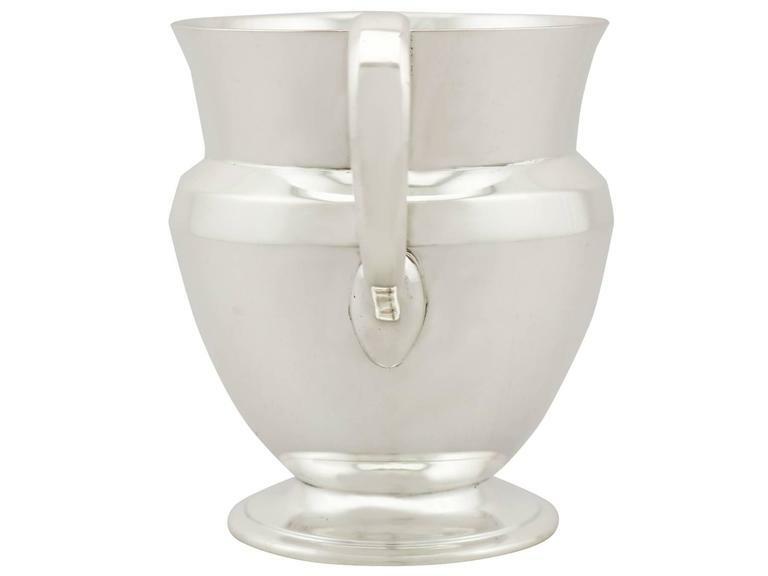 An exceptional, fine and impressive antique George VI English sterling silver christening mug in the Art Deco style; an addition to our Art Deco silverware collection. 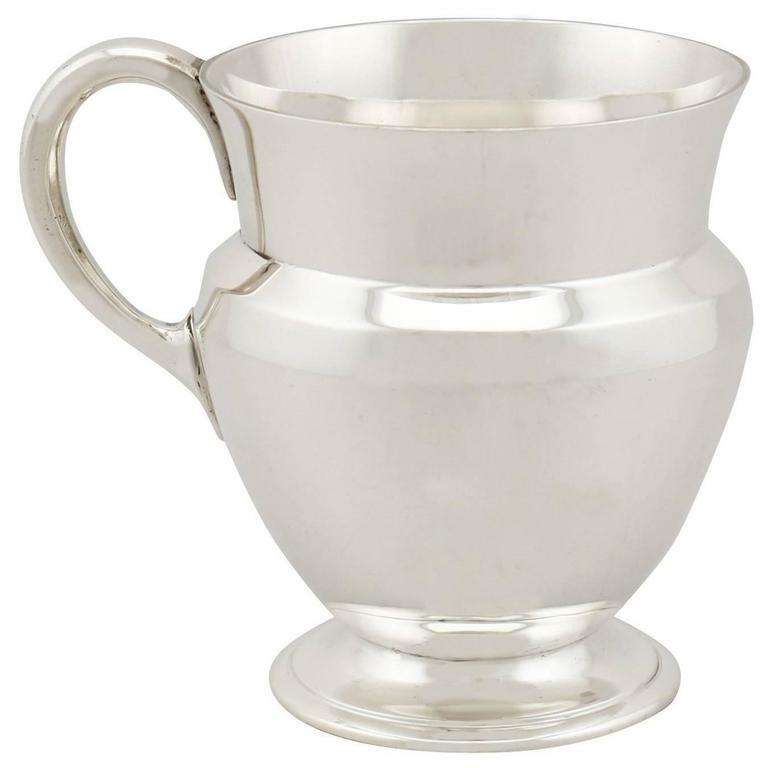 This exceptional antique George VI sterling silver christening mug has a plain circular rounded form onto a circular spreading foot. 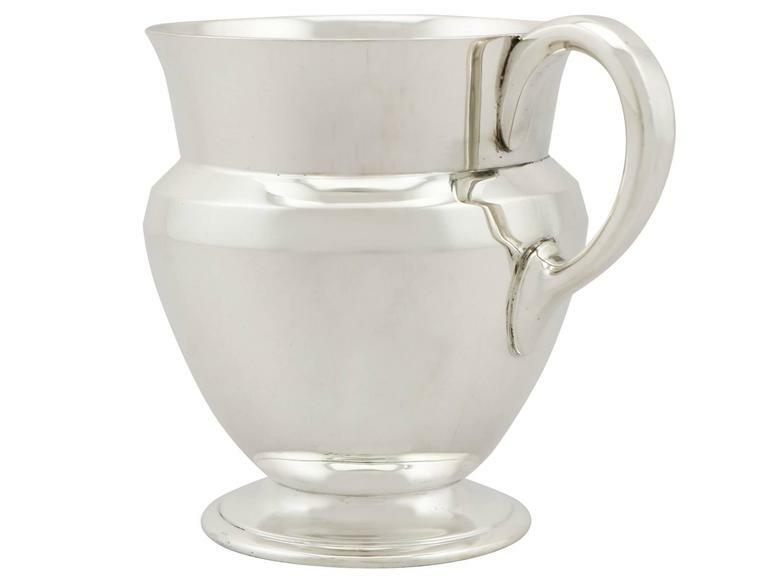 The surface of this Art Deco style mug is plain and unembellished. 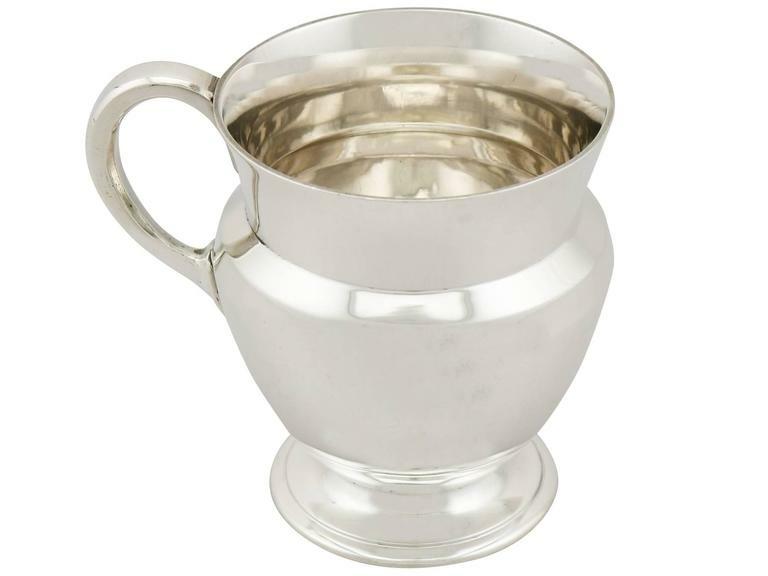 This fine example of antique silverware is fitted with a plain C shaped sterling silver handle. 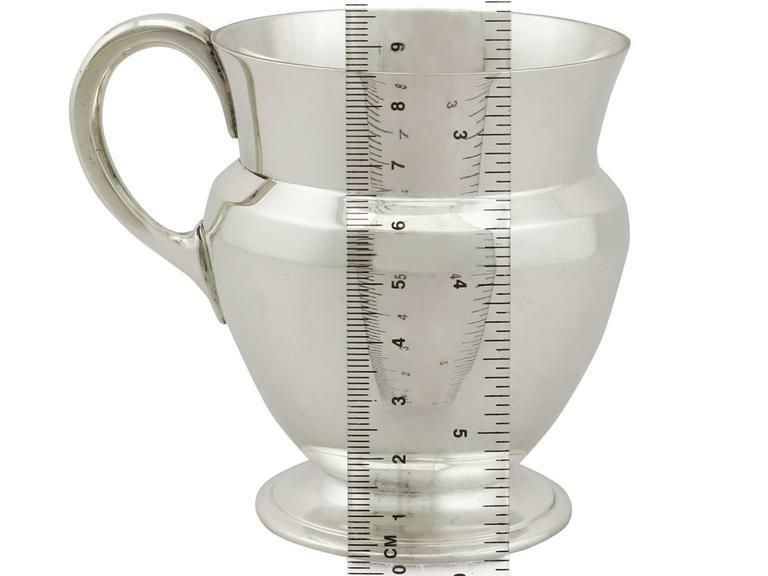 This impressive mug was crafted by the London silversmith Richard Comyns of William Comyns & Sons Ltd. Dimensions Length from back of handle to rim 10.2cm/4" Diameter 7.7cm/3" Diameter of foot 6cm/2.4" Height 9.1cm/3.6" Weight 6.3 troy ounces/197g Maker: William Comyns & Sons Ltd (Richard Comyns) Date: 1937 Origin: London, England Video: A video of this fine piece is available upon request. 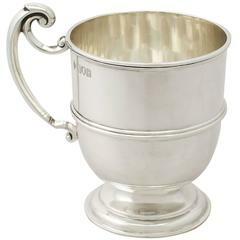 Reflections in photography may detract from the true representation of this piece of antique silverware. 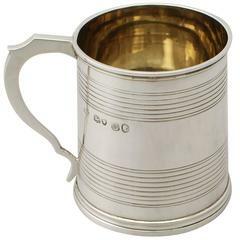 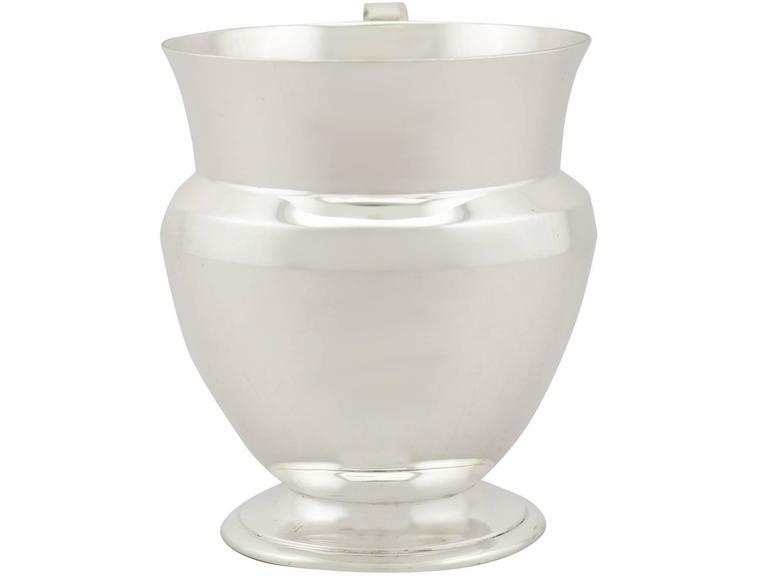 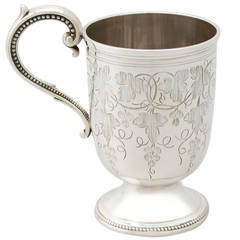 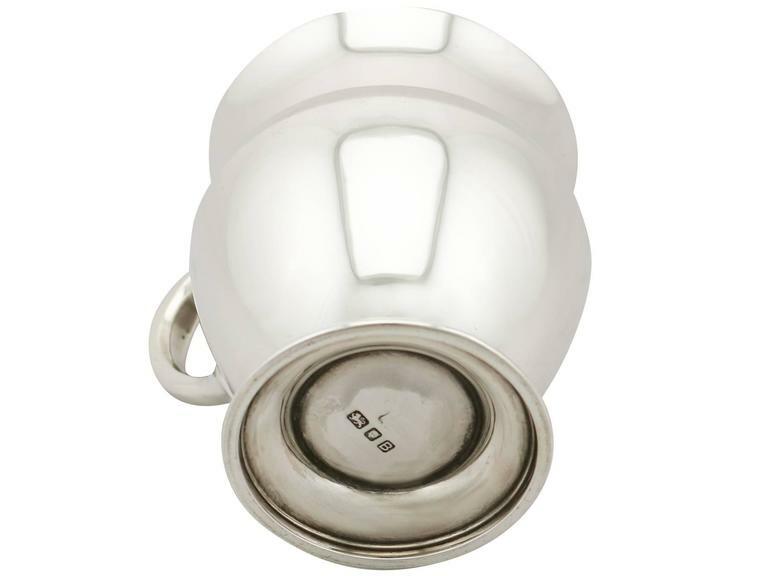 This antique silver christening mug is an exceptional gauge of silver, quality and condition. 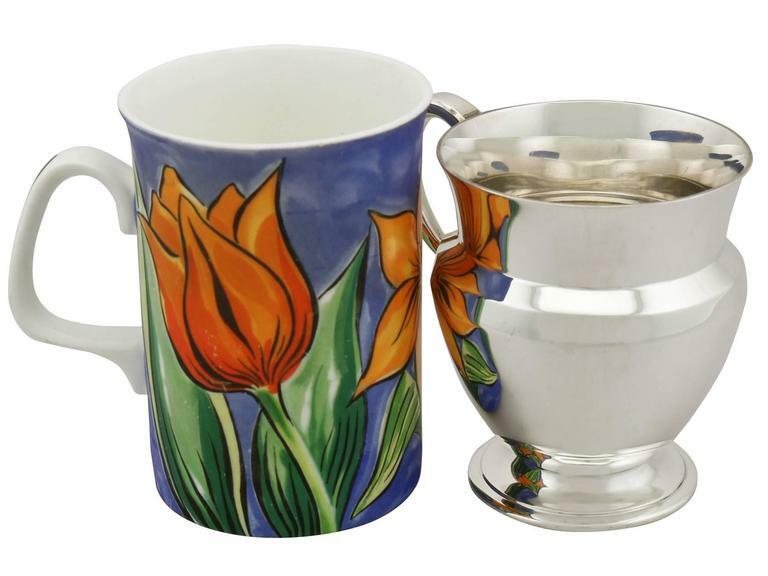 The mug is in presentation condition. 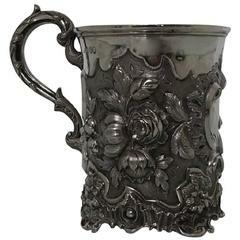 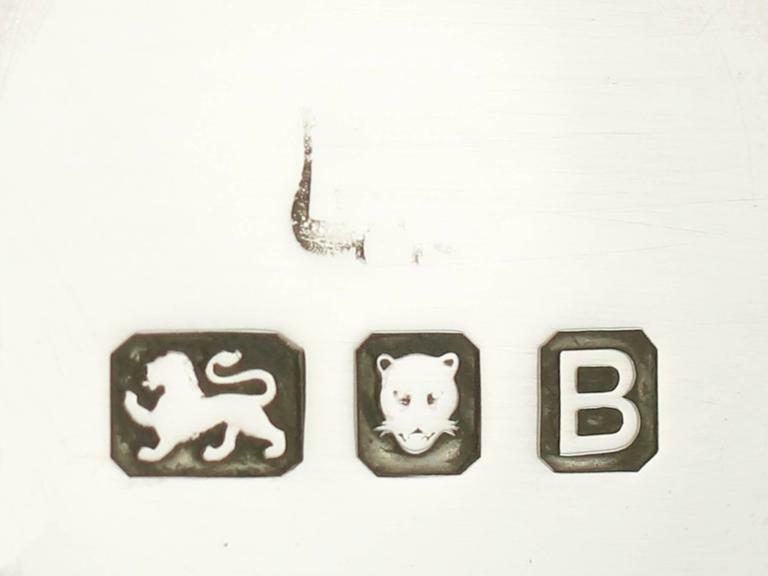 Full hallmarks struck to the underside of the mug are all very clear; the maker's mark has wear but remains legible.